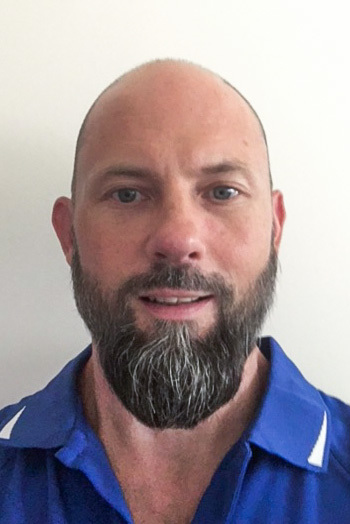 Since completing his diploma in 2006, Anthony’s clinical experience has been largely in private practice based with an emphasis on Remedial Massage and Sports Therapy. During this time Anthony has worked with a wide variety of elite sporting teams including the Brisbane Broncos (3yrs), Queensland Reds (3yrs) and The Brisbane Lions (4 yrs). Early in Anthony’s career he worked closely with his mentor Howard Arbuthnot (Head Massage Therapist Australian Olympic Team) for 2 yrs and built a wealth of knowledge and expertise in the field of Remedial and Sports Massage Therapy. In the past 6 years Anthony has been working closely with my FootDr podiatrist Simon McSweeney and has an excellent rapport with other podiatrists at this clinic. During this time Anthony has been specialising in lower limb injuries such as plantar fasciitis, Sever’s disease, Haglunds Deformity, achilles tendonitis, shin splints and calf strains with great success. Anthony’s further studies include myofascial dry needling, myofascial release techniques, deep tissue massage, trigger point therapy, Pilates instruction and extensive experience in personal training and exercise prescription. Since being in private practice for the past 11 years, Anthony has built his skills to treat and solve a variety of muscular issues for people of all ages. Anthony has been working closely with other allied professionals (Podiatrists, Acupuncturists, Physiotherapists, Osteopaths and Medical practitioners) to provide optimal health care to increase mobility and enrich the quality of people’s lives. Anthony holds a positive notice blue card and is a Professional Member of the Australian Natural Therapies Association and The Australian Institute of Fitness. Anthony is available for massage and remedial sports massage at our Camp Hill AFAI podiatry centre. For appointments please call 0432 843 869, e-mail anthony@bodyassist.com.au or visit www.bodyassist.com.au (Facebook). Body Assist is supported by all major health funds HICAPS. Rebates may be available. Please check with your health care provider for more details.